Parking: Main parking lot, signs will be posted. Walking distance to amphitheater is a hilly 5-minute hike. 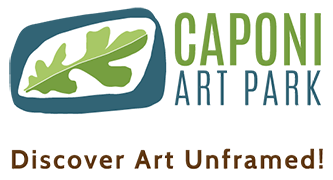 Event Details: Yoga at Caponi Art Park, taught by Alpa Goswami, will intensify your experience by practicing in a natural setting. Parents and kids can practice yoga side by side in this hour long Saturday morning class centered around health, well-being and fun. Families will grow in strength and flexibility while also developing better concentration, mindfulness and relationships with others. We encourage you to stay afterwards to immerse yourself in nature and enjoy a morning at the park.